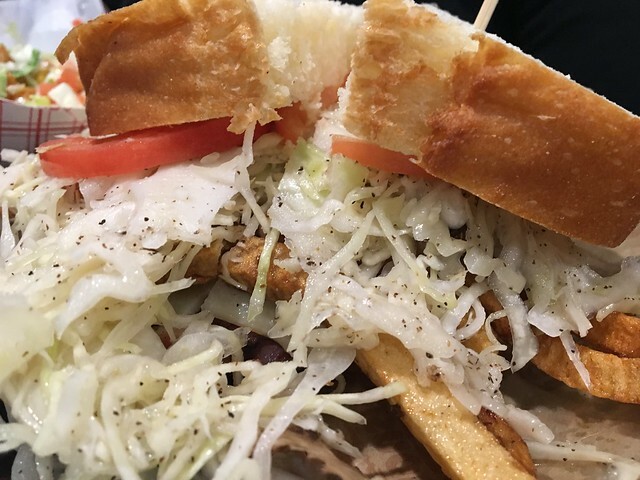 We know the legacy of the giant Pittsburgh sandwiches stacked with fries and cole slaw. 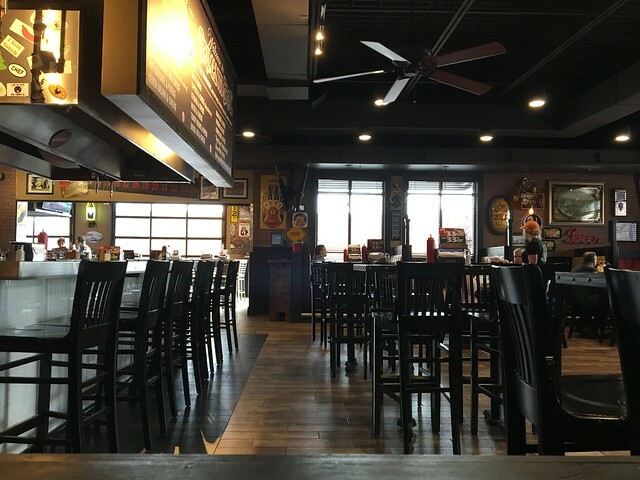 Primanti's is known for those white bread sandwiches piled high with your choice of protein - bologna, egg, hot sausage, ham, bacon, pastrami, corned beef, turkey, roast beef - and tons of others. But, it's time we talk about another Pittsburgh specialty: the french fry salad. That's right. A pile of greens, veggies, chicken or steak and french fries. 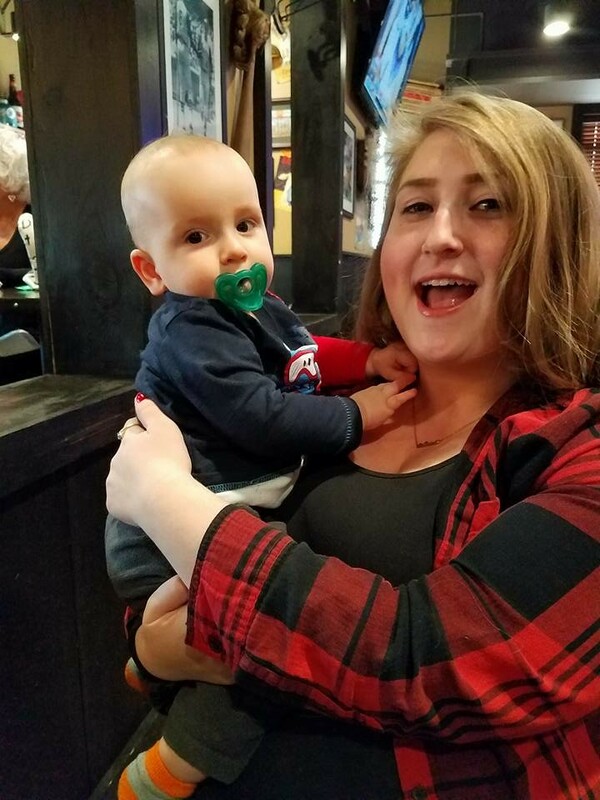 I took my latest visit to the Clarksburg Primanti's location where I met up with best friend and college roommate Kayla (and that new baby!) to espouse the greatness that is the french fry salad. One possible origin for the salad, as noted in Serious Eats’ culinary history of Pittsburgh, is Jerry’s Curb Service, a drive-in originally located just north of the city, which claims that "on a fateful night in the early 1960s… a customer placed a rather unusual order — a steak sandwich, hold the bun, add fries and salad dressing." Donna Reed, Jerry’s wife, made a version for herself but "placed her sliced steak, fries, and salad dressing atop a fresh bed of lettuce." Jerry’s however, simply calls this "staple in the restaurant industry" a "Steak Salad." Like any restaurant dish whose highly convenient origin story involves a quirky customer order or a chef/owner’s inventive use of constrained ingredients — see: the negroni, the Caesar salad, Buffalo wings — the tale is hard to definitively disprove, but of course, no one really knows (Eater). 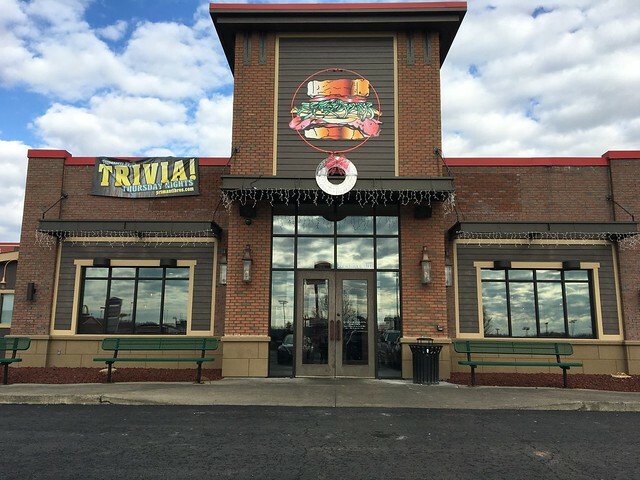 This Primanti's location is fairly new, and modern - like most of the branch locations. A nice open area, dark colors and the same humongous sandwiches (and french fry salads!) that the area has come to love. 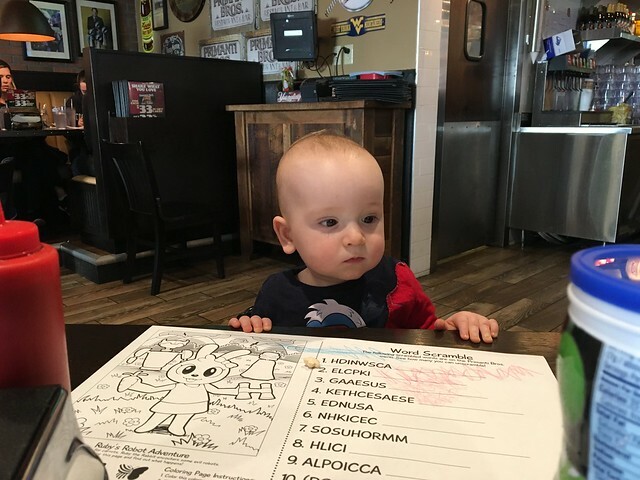 So, I ordered the Sirloin Steak Salad with Fries - seasoned strips of sirloin steak, house salad mix, tomato, chopped egg, roasted peppers, bacon, crumbled and creamy bleu cheese and housemade croutons. 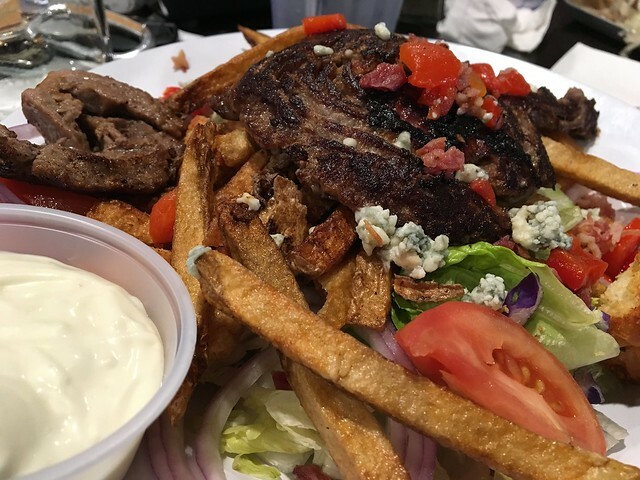 The salad came out on a humongous plate with a flat grilled beef amalgamation covering the bed of iceberg lettuce, slivered tomatoes, red onions, and not-quite-crispy fries. For the most part, I'm super into this salad. I feel like it's reasonably healthy with a bit of indulgence. The nice salty fries make for a tasty combination with the creamy dressing and crunchy veggies. It's a classic of the Pittsburgh area, and I know some friends who even specifically seek out this dish at restaurants. Gotta try it - at least once!